I can't believe this is the last Friday before I graduate high school! This weekend is absolutely crazy with festivities like the senior lunch, send off (let's pray I don't get too worked up), dinner and then of course graduation on Sunday. I will have a recap up next week but until then, I will most likely be a bit MIA on social media because I want to enjoy every minute of it. Mother's Day was last Sunday (wow it seems like yesterday) and I had such a blast at a new brunch place with my mom. The weather was incredible so I set up my eno hammock in my backyard and avoided studying for the exam I had the next day and lounged there all afternoon. How gorgeous are these flowers?! Now that I have two jobs this summer (update on that soon!) that require put together outfits every day, I've been trying to dress up my summer clothes a bit more as of late. My favorite way to do that is with a big stack of bracelets like these beauties (see all of them linked in this post). One of the many perks of being off school is the ability to brunch on a regular basis, so I went with a few friends earlier this week and am going with Fran this morning too! Powdered sugar waffles are my fave and recently I've been really into scrambled eggs and oatmeal too. Wish me luck as I embark on this big weekend! Any final advice before I walk across the stage and accept my diploma?! Have so much fun at graduation! Take some time to put the phone down and absorb everything mentally. You won't forget a thing! 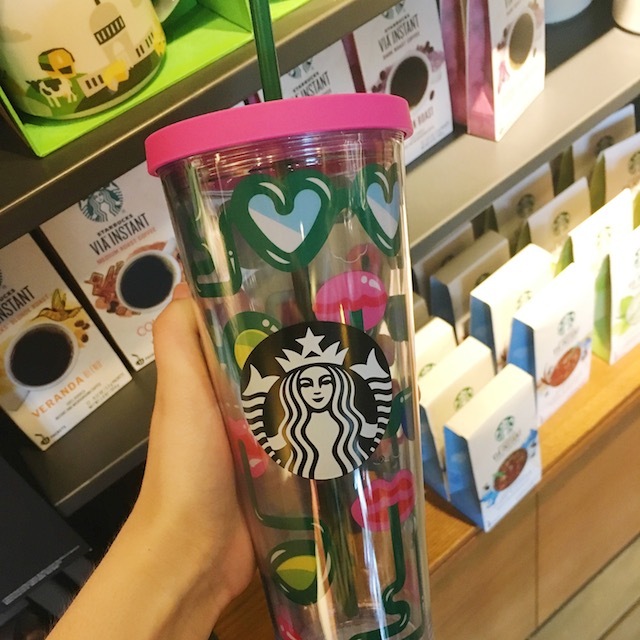 I'm at Starbucks right now obsessed with all their cute summer mugs and tumblers! Congrats on graduating, Caroline! That's so exciting!